DIAMOND Creek, Eastern Devils and St Kilda Sharks will not be part of a revamped VFL Women's competition. 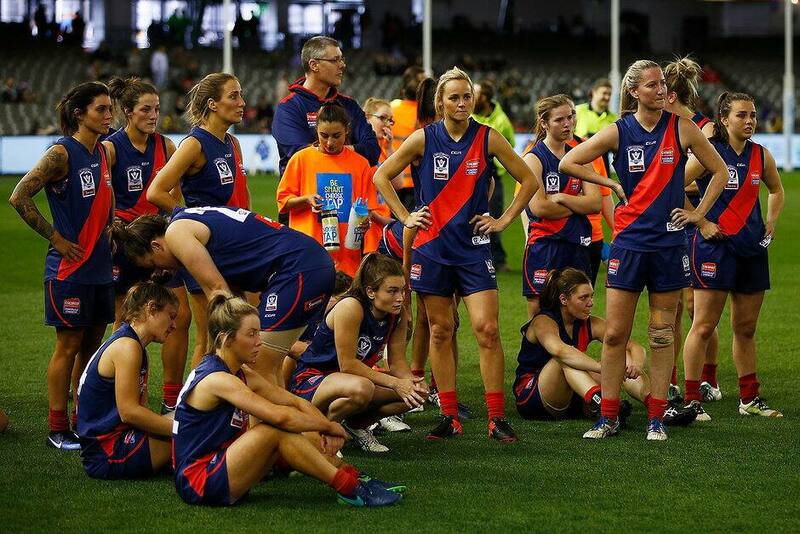 "After much deliberation, the Eastern Devils have decided to bow out of the VFL Women's competition," a statement on the club’s website said. The Sharks also told club members of their decision not to continue with a team in the state's top-level League. It is understood the need to find new playing venues and the likelihood of medium-to-long-term financial strain were factors in the clubs’ decisions. The three clubs will, however, continue to field teams in local level competitions. Powerhouse clubs Darebin Falcons (the 2017 premier) and Melbourne University will continue in the VFLW, along with Box Hill Hawks, Geelong, Casey Demons, Carlton, Collingwood, Essendon, Richmond, St Kilda (Southern Saints), Western Bulldogs (VU Western Spurs) and Williamstown. "[The three departing] clubs have played a significant role in the development of women’s football from the VWFL through to being foundation clubs in the VFL Women’s competition," AFL Victoria competitions manager John Hook said. "They have been leaders in providing opportunities for players and officials to develop in their regions, while building strong community relationships to help grow the game. "Each club has a rich history in women’s football, and should be acknowledged for the role they have played over many years at the highest level. "These clubs will continue to lead the way in women’s football, as they focus on the next generation of players and coaches at a community level." The VFLW season will start in May.